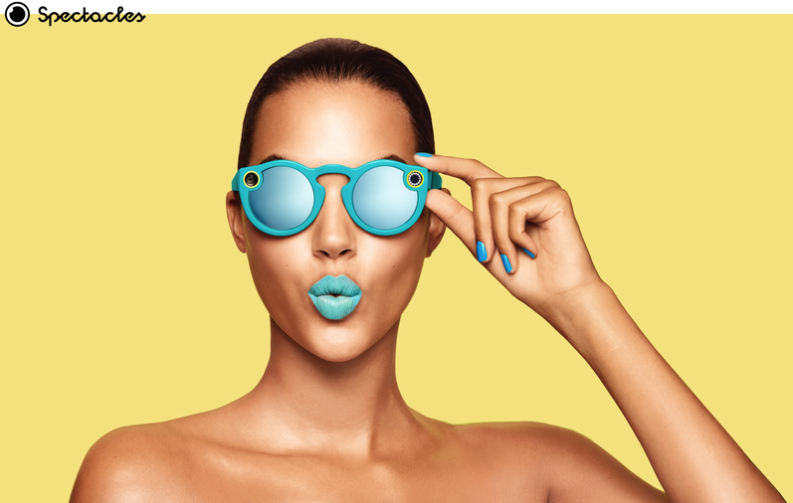 As soon as Snap Inc. announced the launch of its Spectacles video recording shades, the digerati began comparing Spectacles to Google Glass and pondering whether Spectacles would capture consumers’ imagination in ways Google Glass failed to do. But I don’t believe Snap CEO Evan Spiegel cares whether Spectacles finds a widespread audience. I think he’s trying to target a smaller audience of affluent millennials, the kind who can afford to drop a bundle at Coachella each year. Whether you’re Facebook, Instagram, Snap, or Twitter, the name of the game is to create a brand that stands apart and builds a loyal audience. Facebook already owns the social media category. Every business that describes itself as social media will forever operate in Facebook’s shadow. Spiegel has kept Snapchat from becoming just another social media also-ran by positioning the app as a visual storytelling experience for millennials, who now constitute the largest age cohort in the United States, bigger than baby boomers. By changing the name of his company from Snapchat to Snap Inc., Spiegel is trying to position Snap as a bigger millennial lifestyle brand beyond the app, which is where Spectacles come into play. (I like the way Brian Solis characterizes Snap as a digital lifestyle company.) The colorful shades, which will cost $130 when they hit the market, look playful and fun, and therefore millennial-friendly. They won’t make anyone look like a dreaded Glasshole. But being millennial-friendly doesn’t mean being friendly to all millennials. The millennial generation is large enough and diverse enough to accommodate products and services targeted to smaller segments of their population. The 92 million millennials (born roughly between 1980 and 2000) who live in the United States are a diverse generation in many ways, including economically and culturally. Ranging in age from roughly 16 to 36, they include digital natives in high school, millions who are just starting out at the bottom rungs of their careers, and millions more who are achieving affluent status as they approach middle age (the median age in the U.S. is 36.8). As a whole, millennials’ median college loan debt is rising. They are more likely to be living in their parents’ home than with a spouse our partner in their own household. I believe Evan Spiegel wants Snap Inc. to be something like Alphabet, rolling out different products and services that will make Snap indispensible to millennials. Some will be more broadly applicable than others. Spectacles represent Spiegel dipping his toes in the water with a very targeted market. But not all people’s lives — rather, his people’s lives. And Evan Spiegel understands affluent millennials. After all, he is one. This entry was posted in Marketing and tagged affluent millennials, David Deal, Evan Spiegel, Google, Google Glass, millennials, Snap, Snapchat, Spectacles, Superhype. Bookmark the permalink.